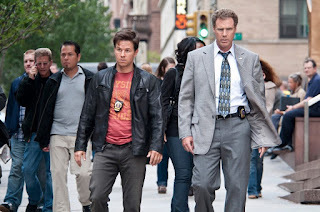 When we talk about film genres, one of the more popular genres that coasts is the buddy cop film genre. It's the same formula essentially with each of these films. 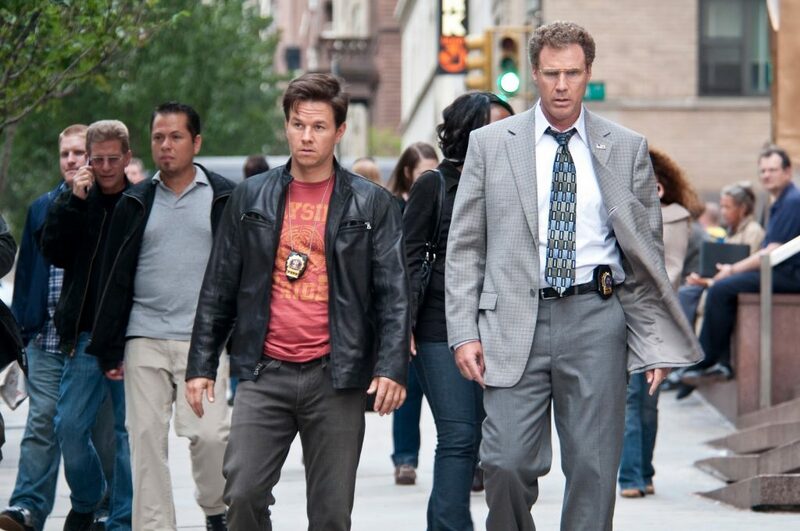 Usually, it's two unlikely partners coming together to provide comedic relief in between chasing down criminals and solving crimes. Often times, this genre breeds so many terrible films and movies that miss the mark, but there are those occasions when the films strike gold. Today, that's what we are here to discuss. You may not see a few movies you think fit in the genre (End of Watch and Training Day aren't lighthearted enough to make the cut) in this list, but these are the best of the best. 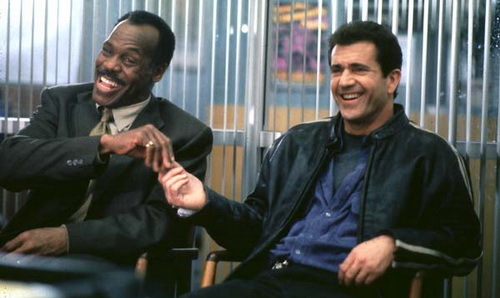 Today, we take a look at the 10 best buddy cop movies, chosen by our DAR panel. Let's get into it. 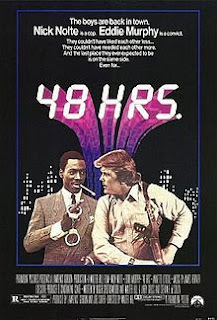 -Eddie Murphy in the 80s seemingly had thbe formula for buddy cop films. Truthfully, he had the formula for every film in the 80s (minus Best Defense), and this would be only one of the buddy cop films that Eddie would be a part of in his career. This time, Eddie stood next to Nick Nolte, as they were forced to work together, and the results are... interesting. 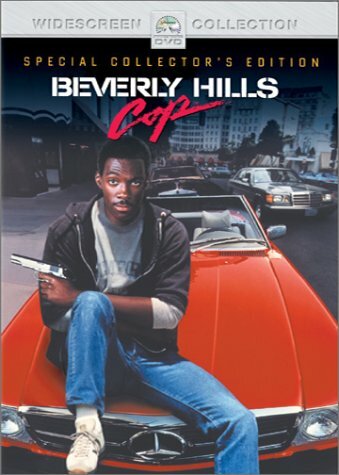 While I'm not a fan of the racial undertones in the film, the 80s were a time when that was extremely prevalent so it makes sense that it was featured. Eddie does a good job displaying charisma on screen through his character Reggie Hammond, and there are enough hilarious scenes to justify it making the list. -I chose this film for two reasons: One, this was one of the first few cop movies I ever watched so there’s an element of nostalgia there. Two, his “unofficial” partner is a dog. It really doesn’t get any cuter than that. 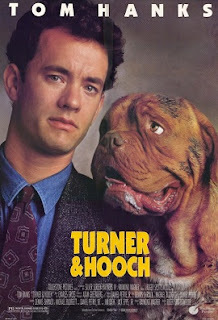 Scott Turner (Tom Hanks) is off to solve the murder of Hooch’s owner and takes on the dog as a “witness” to the murder but as the movie progresses, Hooch really becomes a detective. We see Hooch give Turner a very hard time. He drools, he chews up things, he’s an endless challenge, but he’s also the best part of this movie. There has never been a dynamic quite like this on screen so this movie will forever be a favorite! The best scene in this film is when Turner tries to give Hooch a bath and it’s an ongoing struggle to get him in the bathtub, so ultimately they end up in the yard and Turner uses car wash tools to wash Hooch. -All of us have always been fans of Eddie Murphy, especially his work in the 80’s. He was in his prime comedically so anything he was in was sure to be hilarious. The storyline in this movie is simple and draws in the viewers. He’s out to seek justice for the murder of his best friend but what makes this so great is his unconventional approach. He’s a bit over the top and the co-stars and cast just allow him to shine! As fans, we want an engaging, easy to follow story jam packed with hilariousness and we get that here. This is a classic cop movie that never loses its appeal. The best scene in this one is tough to pick, But we have to go with when Axel arrives at the hotel to check in (without a reservation) and becomes increasingly loud while pretending to be a reporter from Rolling Stone magazine who is about to interview Michael Jackson!! Also, who could forget the iconic theme to this film? -I know what you're thinking. How? How? Well, you'd have to ask Peagle that question cause I don't know honestly. 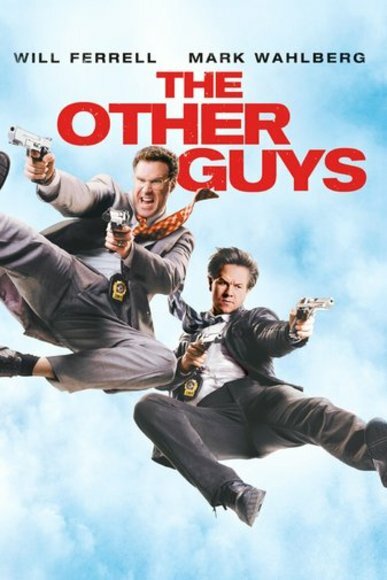 Actually, all jokes aside, this creeps onto the list mainly for the fact that it is a super underrated film that takes two guys who aren't the greatest actors in the world and makes it work. Sure, you can look at the 8% rating on Rotten Tomatoes and dispute the placement of this on the list, or you could just make your own list without it. The latter makes more sense. However, the chemistry between Adam Sandler and Damon Wayans is surprising, and despite the plot being a bit off at times, this film is enjoyable if you aren't expecting more than a simple buddy cop scenario film. -Tommy Lee Jones and Will Smith are paired together in pursuit of “the galaxy”, which has fallen into alien hands. They are forced to find it before the oversized bug takes off with it and destroys the earth along with it. 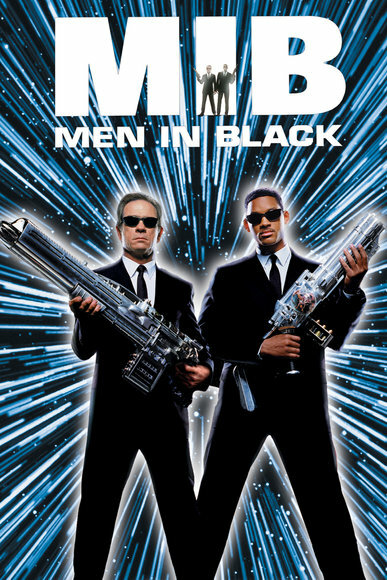 What I like most about this movie is the incorporation of the aliens, the secret agency, the flash device, and super noisy cricket. Everything works the contrast between Agents J & K and of course the humor. J (Will Smith) is younger, less experienced in alien crime fighting and a little more relatable while K (Tommy Lee Jones) is old, impatient and of course his dry humor only works to highlight J’s. The movie is easy to watch, it unravels quickly, keeps our attention, and even makes us love (some of) the aliens. The best scene in this film? 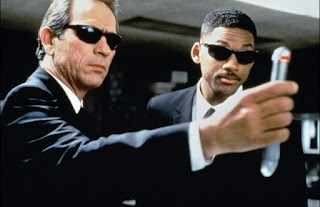 When they gather crowds of humans and use the flash device to wipe their memory and then feed them a different version of events which have just transpired. 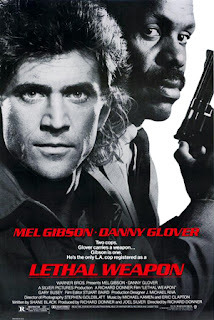 -One of the most important buddy cop films in the genre, Danny Glover and Mel Gibson took the world by storm with this film and changed the genre in a big way. The measuring stick for buddy cop films is pretty much this film, as Murtaugh and Riggs became two of the most iconic characters in action-comedy history. -A true underrated buddy cop film, this comedy starring Will Ferrell and Mark Wahlberg alongside cameo roles from The Rock and Samuel Jackson is one of the better buddy cop films of the last 15 years. It's full of high octane action but peppered with enough comedic mishap to bring a ton of laughs. Michael Keaton has a great role in this film as well and has a really fun moment with TLC songs that shouldn't be ignored. -Anyone who doubts how well a detective from Hong Kong and a LA native "FBI agent" can work together has never seen Rush Hour. 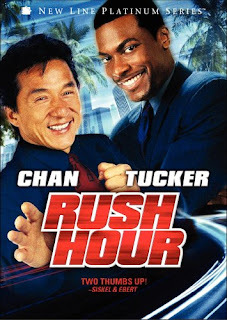 Jackie Chan (Lee) and Chris Tucker (James Carter) are paired together to stop the kidnapping of the Chinese Consul's daughter. This can only be described as a whirlwind of events. 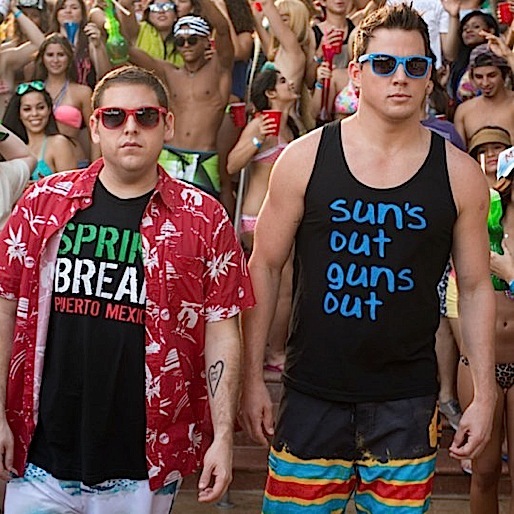 The movie is action packed with some of the best stunts and keeps us laughing the entire time. Lee and Carter don’t get along at first. Carter is reckless, loud and does more bad than good while Lee is constantly trying to correct his mistakes and keep them from getting caught and killed. What earns this movie a spot here is the humor, cultural incorporations and of course the martial arts component. The best scene is tough to pick as always as there are a lot of great scenes, but we might have to go with the part where Lee is singing “War” and Carter and Lee do their dance number down the street. -I was unsure about this when I first saw the preview. Surprisingly, it turned out to be a solid comedy with a lot of hilarity within it. 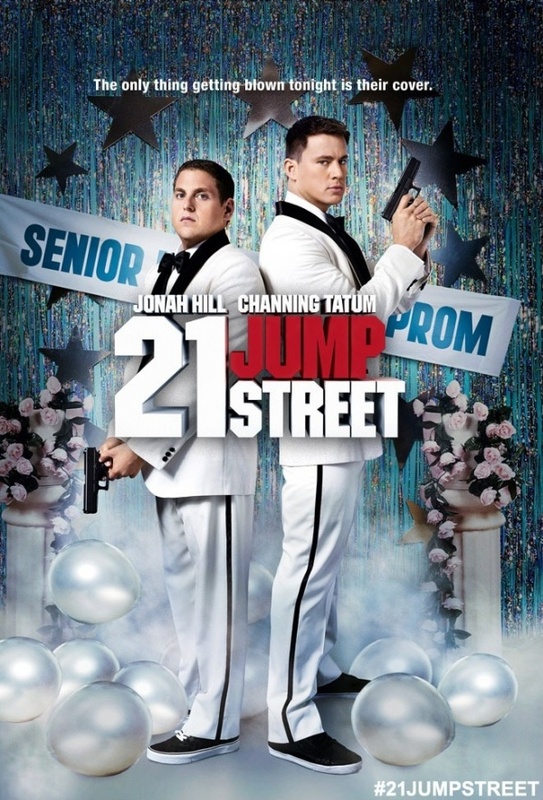 Jonah Hill and Channing Tatum have a lot of chemistry in this film, as they bounce off of each other with jokes and physical comedy throughout the film. 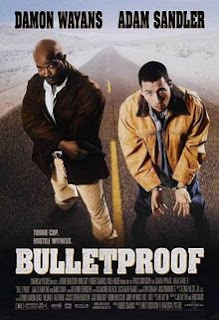 Their character narratives in this film bring a majority of the laughs, and while Ice Cube steals the show here and there with his role, it's really Hill and Tatum that carry the movie on their backs, a testament to them working well together as a duo in this film. -There is not enough we can say about this movie. From the cast to the story and the hilarious jokes in between, this is a crowd pleaser and enjoyable for anyone. In reality, you have to love Bad Boys because it’s the “wild card” of movies. 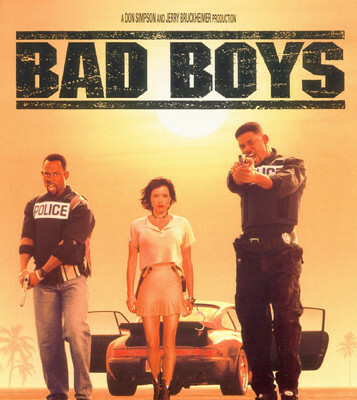 It’s a heist, a comedy, an action and a drama all rolled in to one and that is really because of the dynamic between Will Smith and Martin Lawrence. They feed off each other’s personalities and fit their characters so well. The female roles are also brilliant, as Theresa, Max and Julie add the perfect balance to the men and add to the humor and drama. I also loved that this movie was set up perfectly for a sequel to build on. This is by far the most enjoyable cop movie, as everything about was perfectly executed and made it a certified favorite. The best scene is so tough to choose, but we would have to go with the scene where Theresa shows up at the house and finds Mike, Marcus and Julie running around half naked. The way this scene unravels is priceless. What initially attracted her to Keto?Who doesn’t love bacon? Do not be ashamed to admit if that’s your reason for embracing the Keto way of life!Then, as he normally does, Dr. Oz weighed in along with his watch as helpful information to Kendy. He began with a style of “do it now” but expressed some general concerns. First, he described, “I’m fascinated with the science,” and ongoing with, “We don’t understand enough about its influence on diseases.” After that, he added that it would be too easy for her to drop out of ketosis if she “cheated” by adding a bun to the burger. The Martial Arts solarmovies genre is a very popular movie genre throughout the world. There are many martial arts movies that give you a real sense of the world of martial arts. Many of these movies are legendary films that should be included in every martial arts movie collection. Find more quality movies for phones. With the application: 123Movies, Movie BOX, showbox apk, mobdro apk... I download these applications at Apptogame.com ... And you, please choose for yourself the site to download quality applications. You may have heard that movie investments, especially low budget movie investments, can be very lucrative. This can be true, and you may be excited about investing in a movie, but not know how to find a movie project to invest in. You may also be wondering about what to look for in a low budget movie project, and what to watch out for. This article will explain how to find a https://freenetflixacc2019.weebly.com/ project to invest in, and how to determine if it has a good chance of being a successful movie that will produce a good profit.